Get rewarded for shopping at your favourite stores. Store credit cards can often seem like a much better idea when you are in the store, but when you get home you realize the interest is high and the rewards are only valuable when you’re at that specific store. That doesn’t mean store credit cards don’t make sense for some people. Store cards can earn you points or cash back to use at the retail locations you shop most. AIR MILES, Canadian Tire Money, and Walmart Rewards are just a few of the rewards you can start raking in with these store cards. Is the reward value you get on everyday purchases competitive with other non-store rewards cards on the market? Are the increased store-specific rewards, bonuses, and exclusive offers for store credit cardholders enough to make up for any shortfalls the card may have? Let's take a look at the best store credit cards on the Canadian market right now that check "Yes!" on both those statements. Whatever you’re looking for, one of these best store credit cards could be it. 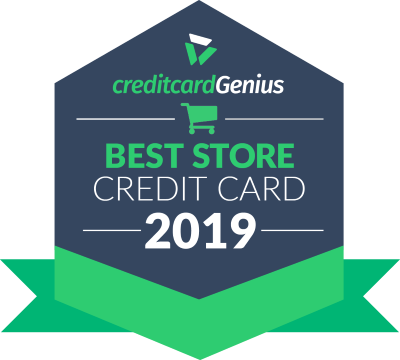 Review all top 10 store credit cards here. If you're on the market for a new GM vehicle, you absolutely need to consider the to add to your wallet. 2% in GM Earnings on everything else after that. Earn rates as high as 5% is completely unheard of in the Canadian credit card market for cash back or store credit cards. And with 1 dollar in GM Earnings being worth $1 off the purchase or lease of your new GM vehicle, you'll be seeing yourself behind the wheel sooner than you thought. All for an annual fee of $79. A good strategy for this card would be to use it for your first $10,000 spent annually to take advantage of the high earn rate and then switch to a different high-earn rate card for the rest of the year. That way, you'll really be able to maximize your returns. Don't qualify for the $60,000 personal or $100,000 household income? Then there's the as an excellent alternative that comes with no annual fee. The best AIR MILES branded credit card is the , hands down. With an amazing welcome bonus of up to 3,000 AIR MILES and a companion flight rebate, you'll earn max AIR MILES on all of your purchases. Looking for a no fee version? Consider the . You'll get a bonus of 800 AIR MILES just for signing up. If you're looking for ways to cut costs on your weekly date night with your significant other, or if you simply love being in front of the big screen, the could be just the card for you. 1 SCENE point everywhere else. And, for a limited time, you can enjoy 2,500 SCENE points as a sign-up bonus. That's enough for 2 movie tickets.